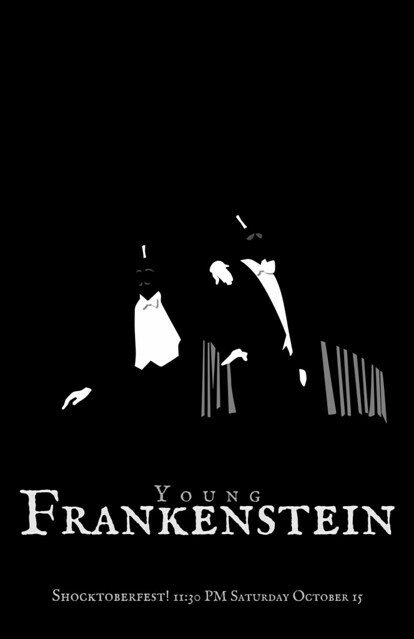 Young Frankenstein Minimalist Movie Poster, a photo by avhell on Flickr. My local independent movie theater the Crescent Theater in Mobile, AL is running a Shocktoberfest movie series of some great horror films. They just so happened to include one of my favorite films of all time in the list, Young Frankenstein! Having seen some amazing minimalist movie poster art by other people got me thinking about this film, and trying to find a way to distill some iconic portions of the film into something instantly recognizable. So I came up with these ideas very quickly, and knocked them out in Inkscape as vector graphics. I should probably leave this up to the professionals, but I had a good time playing with the ideas and laying these out! While I love the top poster for what could be the funniest scene in the entire movie (I still lose it every time Peter Boyle sings…), the brain image feels like the most iconic for the entire movie. I mean, the entire movie is just the saga of Abby Normal, right? 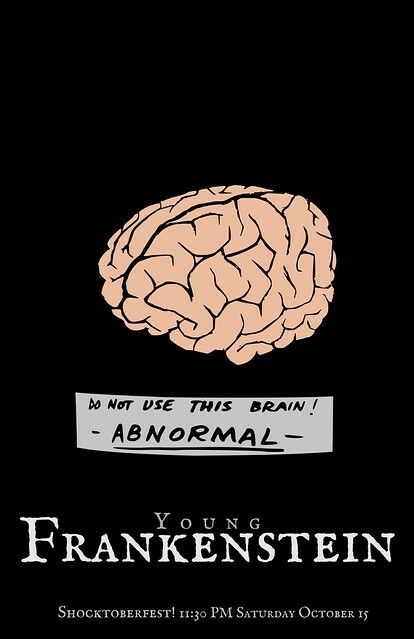 Speaking of which, I went ahead and got the design setup and available on t-shirts and mugs (Abby Normal, that is) over at CafePress, so if you’re interested in really showing off your love of the movie: Check it out here!